| Where else would you be looking? I realize I have been AWOL from blogging for the past two weeks, thanks to a busier work schedule, a cold, and getting ready to go on a mini-vacation tomorrow. That said, I’d like to thank everyone who’s taken the time to read the posts I’ve published, as well as who have left comments and feedback. My goal is to get back to my now 200+ feed first thing next week . . . so expect a flurry of likes/comments from me in the upcoming weeks, folks. Now let’s get back to this post . . . last week I wrote about my favorite books I read in 2014. Now I’m going to mention the best TV shows – some old and some new – that I watched last year. Despite it’s sad and open-ended finale, I totally dug 24‘s (2001-2010) return to the small screen. I think everyone was hoping for some more Jack Bauer, so it was nice to see Keifer Sutherland give in and share some of his alter-ego with us. The idea of the show returning in a mini-series format worked well, offering the same cliff-hanging episodes that kept us on the edge of our seats. Switching the location added to the freshness of the show’s return, and a cast filled with vetted actors and actresses (which included three familiar faces from previous seasons) made longtime fans of the show like myself that much more excited to tune in. 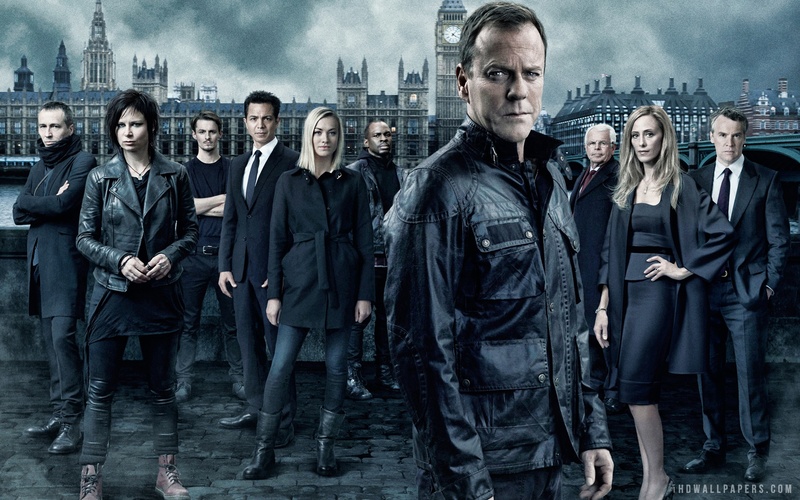 And if there’s every a takeaway from 24, it’s that you shouldn’t get close to Jack . . . because you’ll probably end up captured, tortured, dead, or all three. While the final season of Arrested Development (2003-2013) arrived on Netflix in 2013, I had never seen a single episode until last year. It’s probably the most off-beat show I’ve ever watched, and yet the writing keeps me coming back for more. Even for a show where multiple characters are unlikable, Arrested Development still knows how to make people laugh. The show runs on a continuous gag reel, forcing new viewers to start from the beginning of the show if they want to appreciate the ongoing jokes. What makes the show work so well is its ability to subtly hint at being funny without announcing the punch line. The fourth season surely received its fair share of criticism for its format, but for me, I felt like the storyline suffered more by not returning to what made everyone laugh about it in the first place. Regardless, I think the first three seasons are worth multiple viewings. The Killing‘s (2011-2014) final season hit Netflix in 2014, after the streaming service picked up the original AMC show. Perhaps it was all just luck that I discovered the show one day while I was looking through Netflix titles, and I’m so thankful I did. Rarely do crime dramas feel as rough, believable, and original as The Killing. Although it’s based off a Danish show with the same name, this American re-make works as if it was wholly original, at least for American audiences. While I enjoy The Walking Dead (2010-) more than most shows, it was The Killing that had me binge-watching (to my shame) until I completed it. 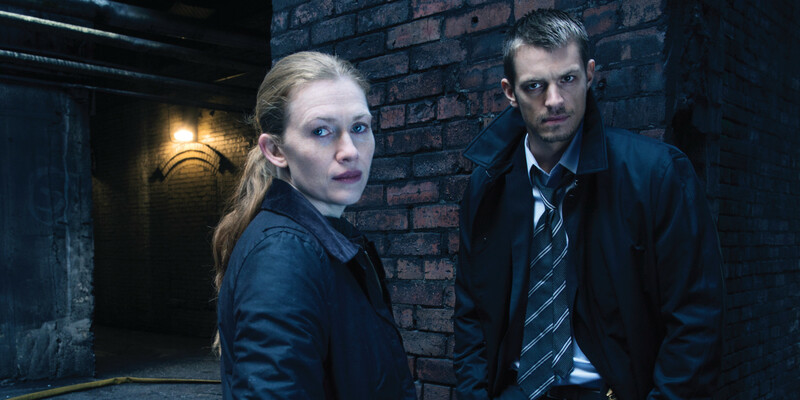 The two leads – played by Mireille Enos and Joel Kinnaman – is what makes The Killing, particularly the latter. It’s certainly some of the most compelling TV I have seen in a long time. If you want to watch a great crime show, check out The Killing. It’s that good. So there’s a good chance I created this category just to throw a little of Sherlock into the mix. The third series arrived on Americans’ TV screens in January of 2014, a long two-year wait since the previous series. Mark Gatiss and Steven Moffat fail to disappoint, attempting to top the series two finale that left everybody’s mouths gaping. There are always shocks and thrills in Sherlock, but never the cheap kind. We find out what’s happened since Sherlock’s fall, and we get to witness Sherlock and Watson’s bromance grow deeper, while yet another one of their major nemeses reveals himself in the third episode. Most everyone is familiar with the show’s lead, Benedict Cumberbatch, who has recreated a modern-day Sherlock whom everyone loves, despite his sociopathic tendencies. In regards to British shows, I also thoroughly enjoyed the first season of Broadchurch (2013), which appears to have a second season in the works for later this year. I was not the biggest fan of Doctor Who‘s (2005-) latest outing, despite the actors’ best efforts. I am also a newbie to Orphan Black (2013-) this year, so I’ll get to see what all the fuss is about. It’s difficult to pinpoint exactly what category Gilmore Girls (2000-2007) ought to go in, given its balanced mix of drama and comedy. So I created a category for this show, because it’s absolutely one of my favorites from 2014. (Note – I’m not finished with the show yet [middle of season 5], so please don’t include any spoilers in the comments.) Where to start? The pop culture references, the offbeat townspeople of Stars Hollow, Kirk? !, Lane’s hilarious bandmates . . . Gilmore Girls seems to have that perfect balance of intertwining multiple storylines while still keeping its focus on the two main girls: Lorelai (Lauren Graham) and Rory (Alexis Bledel). Netflix has given the show a brand new generation of fans just discovering it. I highly recommend Gilmore Girls, especially if you want to see a show that has Alexis Bledel’s, Lauren Graham’s, and Melissa McCarthy’s best roles-to-date. What were your favorite shows you saw in 2014? Although we’re a solid three weeks into January, I am still wrapping up all of my lists for last year. I have a flurry of “Best of” posts waiting to be published, with my top ten list of movies post coming out sometime near the end of this month. I’m still holding out to see Selma and Foxcatcher, although I’m unsure if I’ll be able to make both before I need to publish my list. All of that said, let’s get back to the point of this post. I really enjoyed Lowry’s YA quartet of stories that all started with The Giver, a book that has inspired countless popular dystopian stories today. While I think all four books are well-written, I enjoyed Son the most out of the three sequels because it concluded the stories and tied together all of the primary characters we got to meet in The Giver (1993), Gathering Blue (2000), and Messenger (2004). Lowry intertwines the overall themes of sacrifice and love, with good overcoming evil in the end. I’m thankful that I didn’t discover the series until last year, because I’m not sure how much I would have wanted to wait 19 years for a conclusion. 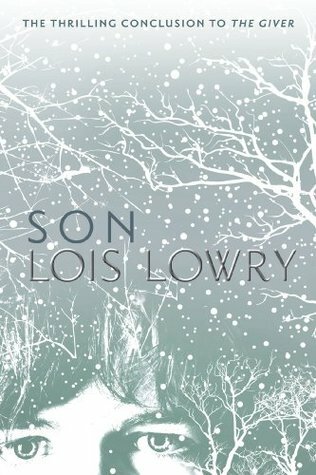 No doubt The Giver is the strongest, and perhaps most thrilling book in Lois Lowry’s quartet of stories that start with a boy named Jonas. Bestowed upon him at the transitional age of twelve, the title and job of being the Receiver of Memories casts a burden on the shoulders of a boy who starts to question the world in which he lives. An unsuccessful and inferior film based on the book was released in 2014, starring Jeff Bridges and a misplaced Meryl Streep. I’d recommend The Giver because its simple plot keeps you thinking after you’ve read the book. After reading multiple popular dystopian YA books over the past few years, I realized that The Giver stands apart from the mass not only for being published in the early ’90s, but also for its unique position in having inspired so many other stories. Given the premise, I originally thought Ernest Cline’s first book would appeal more to gamers than the average person. And I imagine that in some sense, it does. But it’s a fascinating story that takes place in a virtual world, yet asks a deeper question that proves relevant for any person today. If you appreciate the pop culture of the 1980s, then I suggest you read Ready Player One immediately. If the past gets you nostalgic, if you have a soft spot in your heart for the Back to the Future films, or if you have a deep love for RPG games, then Ready Player One is the book for you. If you like adventure stories, underdog tales, superheroes, and squeal when the smart guy gets the girl, then you should probably get your hands on a copy of Ready Player One. If none of those reasons apply to you, and you enjoy a good book, then download Ready Player One on your device and start reading it. Need I give you more reasons? “Thrilling” and “dark”: those are the best two words to describe Gillian Flynn’s novel. Most people are familiar with both the title and the story by now, after the novel was adapted into a critically-acclaimed film last year. Having read the book and then seen the movie, I would no doubt admit what most people would: the book was better. The film was good, yes, but there’s something much creepier when you are alone in discovering the mystery behind Amy Elliott Dunne’s death. While I would have preferred less language, and could easily chalk up Gone Girl to a whodunnit mystery thriller starring Mr. and Mrs. Sociopath, what makes Gone Girl so engaging is the order in which Flynn makes her reveals. Not only are we terrified to find out what happens next as we see what happens through Nick’s eyes, but we also have our belief suspended on Ms. Flynn’s impeccably-written order of events. Thanks to her brilliant timing, as readers we get to experience the rush of solving a mystery, only to nervously proceed to find out what’s happening next. Suffice it to say the movie experience did not compare. It is for books like Cuckoo’s Calling that we have a list of inspiring characters and stories to thank, and in this case, I would start with Sherlock Holmes and Sir Arthur Conan Doyle. Multiple adaptations and inspiring and visionary TV shows, films, and characters have been crafted from Conan Doyle’s best known crime solver and detective. Cormoran Strike, the protagonist of Cuckoo’s Calling, is not much like Detective Holmes, but the similarities in both what they do is apparent in reading the first of J.K. Rowling’s crime fiction novel series. As Rowling peels back the layers of the man who is Cormoran Strike, I found myself sympathizing with his personal circumstances and curious about the case surrounding Lula’s death. Rowling has a way of drawing in readers and keeping them compelled the entire time. I haven’t read The Silkworm, the first of multiple sequels in the works, but I’m planning to in 2015. Truly, the credit has to go to the creative mind of the author, because it is with explicit detail that Cuckoo’s Calling is fashioned, and it unfolds much like a TV mini-series would, where you can’t help but watch the entire series in one sitting. 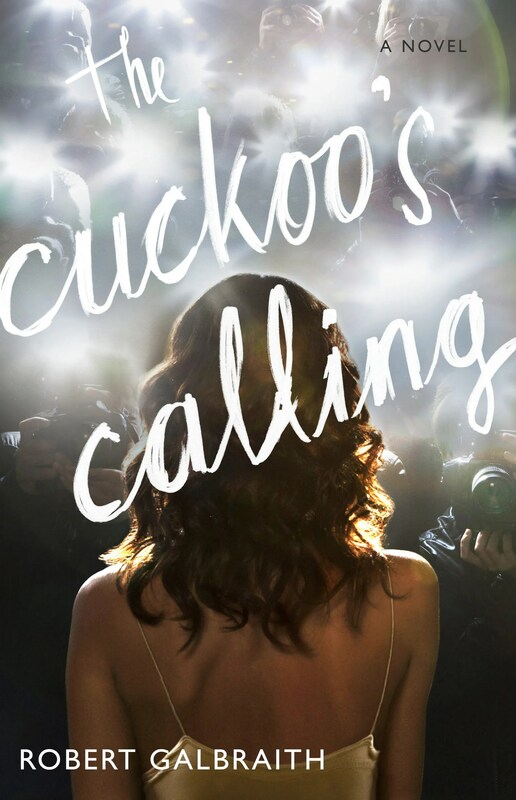 Whether or not one is a fan of the Harry Potter series, which made Ms. Rowling a household name not only in her home country, but also across the globe, one who enjoys an intense and thrilling crime mystery would have a hard time putting down Cuckoo’s Calling. Of course, I speak from my own experience. I found Cuckoo’s Calling to be the best book I read in 2014. It stayed with me long after I finished reading it. To view my entire reading list for the year (twenty-five books total), or to see an update on where I am in my reading, check out my New Year’s Reading post here. What were the best (and worst) books you read in 2014? What are you planning to read this year? Continue reading below to see what got nominated, along with my first thoughts on the nominees. First Thoughts: None of the entries on this list surprise me. The only movies I haven’t seen on this list are American Sniper and Selma, both of which I’m planning to see in the next couple weeks. What has me super thrilled is Whiplash making its way onto the Best Picture nominee list. It’s a great films that hasn’t gotten the mainstream attention the majority of the films on this list has. First Thoughts: Pleasantly surprised to see Bradley Cooper nominated once again for Best Actor in a Leading Role. I think American Sniper really picked up steam following the Golden Globes. What is surprising is that David Oyelowo’s name missing, who I’ve heard turned in an award-worthy performance in Selma. 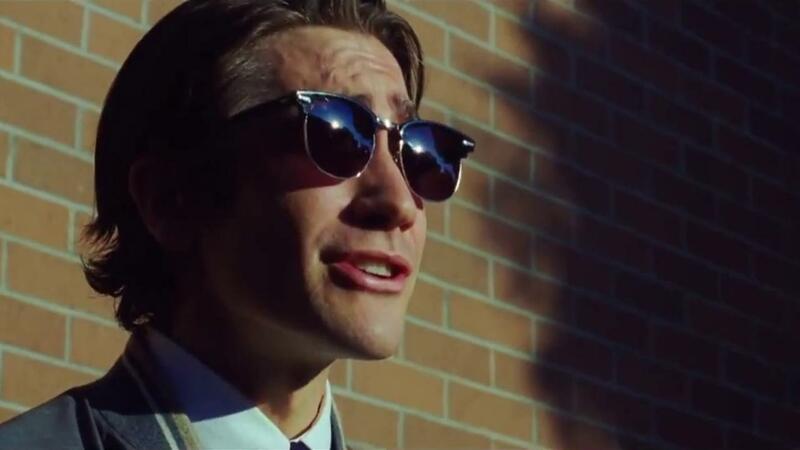 And while I can’t say I’m surprised, I am disappointed that Jake Gyllenhaal didn’t make the list for his transformative role in Nightcrawler. Also, how crazy is it that from now on, before Steve Carell’s name is mentioned in movies, it will be preceded by the words “Academy Award Nominee”?! First Thoughts: It seems like I completely missed out on Still Alice, because Julianne Moore won the Golden Globe as Best Actress, and now she’s nominated for an Oscar. So that one has just arrived on my radar. The other movie I’m excited to check out is Two Days, One Night. If Moore doesn’t score this, I think Rosamund Pike will take it. First Thoughts: I realize that now I have to check out The Judge. I don’t really want to. However, I’m happy for all the other nominations on this list. J.K. Simmons is probably the favorite to win, and I wouldn’t argue that after witnessing him in Whiplash. Although, Ethan Hawke’s performance in Boyhood makes me sentimental . . .
First Thoughts: I think Patricia Arquette is the shoe-in for this award, but I’m happy Laura Dern is getting some credit for her work in Wild. It’s no surprise that Meryl Streep is nominated, although I think she’s far from winning this. I’m very excited to have two of my favorite young actresses get nominated, Emma Stone and Kiera Knightly, although neither will likely win. First Thoughts: I actually expected Ava DuVernay for Selma to get nominated, not only because of how much Selma has been praised as a film, but also because she’s one of the few incredibly talented female directors working today. From what I’ve read, this is Wes Anderson’s first Oscar nomination, and I think it’s well-deserved. At the end of the day, I imagine the real race is between Inarritu and Linklater, the most notable directors on this list. First Thoughts: I’m legitimately shocked and disappointed that The LEGO Movie wasn’t nominated. Has anyone else heard of Song of the Sea? First Thoughts: I’m now entering unchartered territory, where I have less I can say because of my limited knowledge. Considering that Interstellar does indeed get a few nominations this year, I’m a little surprised cinematographer Hoyte van Hoytema doesn’t make this list. Emmanuel Lubezki has become the “household” name of cinematographers in recent years. Now I have a legitimate excuse to check out Mr. Turner . . .
First Thoughts: I imagine this is the win for Into the Woods, if there is one. The Grand Budapest Hotel‘s costumes were memorable as well. I almost thought Guardians of the Galaxy would pop up in this category. First Thoughts: Am I the only one who was hoping for Life Itself to make this list? First Thoughts: Birdman seems to be the one missing from the nominations, but perhaps it will make it up by winning Best Cinematography? I will be rooting for Tom Cross for Whiplash given that Miles Teller appears to do all the drumming in this movie, thanks to Cross’s incredible editing. I could see Sandra Adair winning for piecing together twelve years of filming for Boyhood in a fluid and coherent way. First Thoughts: Although I haven’t seen any of these, I’m surprised to not see the popular Force Majeure I have read about. Oh, and hey, there’s Ida again! First Thoughts: Steve Carell’s prosthetic nose in Foxcatcher might be most memorable, but I’m rooting for Guardians of the Galaxy. Those characters really did look other-worldly. First Thoughts: Double nomination for Alexandre Desplat meeans he has a 40% chance of winning in this category. Hans Zimmer’s score for Interstellar was my favorite. Go, Mr. Zimmer! I wasn’t rooting for it, but I’m shocked to not see Trent Reznor and Atticus Ross’s score for Gone Girl make this list. First Thoughts: “Lost Stars” in Begin Again might be my favorite original song of the year, and it’s certainly the song I’ll be rooting for. Another pleasant surprise is seeing a song from Beyond the Lights make the list. I also love “Everything is Awesome,” and I feel like it would be a step in the right direction if The LEGO Movie won after being left out of the Best Animated Film category. 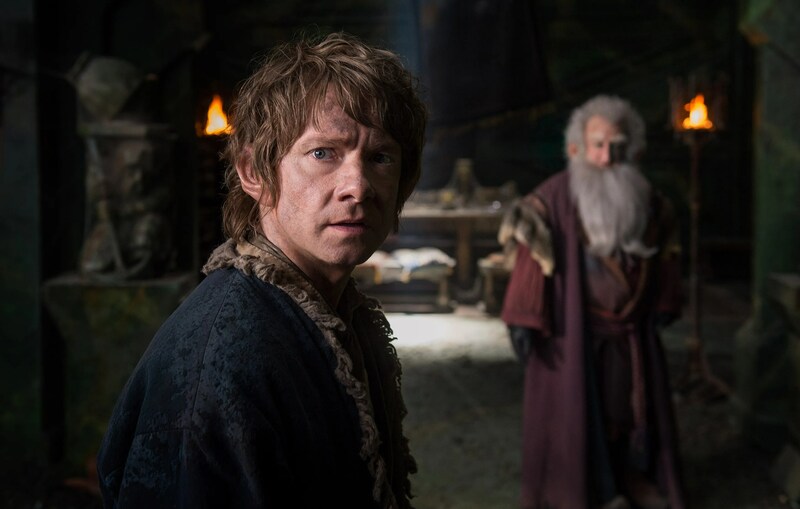 My only disappointment is not seeing “The Last Goodbye” in The Hobbit: The Battle of the Five Armies make the list. Question: What is Glenn Campbell: I’ll Be Me? First Thoughts: Both Into the Woods and The Grand Budapest Hotel had memorable sets and design, so I could see either of these movies taking the prize. But dude, apparently I need to see Mr. Turner, which keeps showing up in the nominations . . .
First Thoughts: A lot of people complained about the soundtrack drowning out the actors in Interstellar, yet it’s still getting nominated in this department. I actually had a bigger issue with Trent Reznor’s and Atticus Ross’s score drowning out the actors in Gone Girl. And hey, look, The Hobbit and Unbroken decided to show up to the Oscars. First Thoughts: Hello there, every superhero movie from 2014. Either Dawn of the Planet of the Apes for Andy Serkis’s work or X-Men: Days of Future Past for that scene with Quicksilver should win this category. First Thoughts: There’s a big discussion behind why Damien Chazelle’s screenplay for Whiplash is making the Adapted list rather than the Original list, thanks to the oddball rules of the Academy. Regardless, I think it deserves to be nominated for its writing. Compared to the major change in characters and plot in The Imitation Game, I would rather root for Anthony McCarten’s writing for The Theory of Everything for honoring the people he portrayed. I’ve also heard Paul Thomas Anderson’s work in adapting the novel for Inherent Vice was quite good. First Thoughts: Well, it’s about time to see Nightcrawler show up. I’m a big fan of Dan Gilroy’s script for the creepy thriller, but it’s likely to lose to literally any of the other nominees. I couldn’t argue with any of the nominations in this category: I like them all. What are your first thoughts on this year’s Oscar nominations? Which ones are you most excited for? Which snubs are you most disappointed about? Following what I did for my last post, I wanted to include another set of Rapid Eye Reviews for four movies I saw in 2014 . . .
With the lowest of expectations, I walked into the theater seeing The Hobbit: The Battle of the Five Armies. And while the film may not be worthy of the score I am giving it, I couldn’t help but praise this part of The Hobbit for being more than what I found the first two parts lacking in: an actual story. I could spend this entire rapid review easily complaining about Peter Jackson destroying Tolkien’s classic novel by dividing it into three overly long films, but instead, I’d like to point out what did work in this final offering. A driven plot, a shorter film, a score that brings fans of the Lord of the Rings films back to the best moments, and a cast who delivers their best work (Martin Freeman, Ian McKellen Richard Armitage, Lee Pace, and Luke Evans) kept me fully engaged during the entire screen time. Of course, I had several issues with the addition of characters, major plot points rewrites, and the poor decision to change too much of the source material, which gave viewers three underwhelming films that could have made one incredibly compelling and worthwhile movie. But I felt like The Battle of the Five Armies‘s greatest boo boos were made in the preceding two films, allowing this third chapter to not be overshadowed with the blatant errors An Unexpected Journey (2012) and The Desolation of Smaug (2013) suffered from. Into the Woods worked on a musical level, because the talent hired to sing did exceptionally well. A well-rounded cast led by Meryl Streep, Emily Blunt, James Corden, and Anna Kendrick made Into the Woods better than your average stage-adapted-to-screen musical. And while the story is a bit weird, it wasn’t until it hit clunky territory in Act 3 (of what I deem to be a musical divided into three parts) that I really started to lose faith in the production. Without explanation, a couple of characters seem to experience bi-polar disorder, and the witch disappears . . . but is she really dead, or just gone? A secondary plot takes over the story near the end, and the story doesn’t bother filling in some pretty glaring blanks. While viewers can handle a sad ending, the way by which the story reached its conclusion felt oddly unsatisfying, breaching a territory that makes you almost not care. From what I’ve talked about with friends more familiar with the musical, certain songs were cut from the film adaptation, while the narrator, the protagonist, and perhaps a few plot points were changed. Into the Woods missteps at the climax of the story, leaving no possibility of coming back. If I had time, I would have written a double review on both The Imitation Game and The Theory of Everything, considering all the similarities the two films share. A lot has been said for Benedict Cumberbatch’s interpretation of Alan Turing. For those familiar with his more popular work, one would expect him to played a tortured genius, channeling his inner-Sherlockian methods and falling back on his experience from playing Julian Assange in 2013’s The Fifth Estate. Turing, however, is an altogether different type of genius, and I can only imagine producers picturing Cumberbatch as the perfect actor to fit the stereotype the writers developed in their version of Alan Turing in The Imitation Game. Research shows how far from the civilization the film’s writers traveled when penning a screenplay that doesn’t mirror the person of Alan Turing, the circumstances that surrounded Bletchley Park, and the actual story of how Turing creates his machine. But if you can pardon all of the serious liberties taken in telling the story, then you can probably enjoy The Imitation Game. The supporting performances from Kiera Knightly and Matthew Goode ought not to be overlooked in a review that praises the film. It’s a hard-knock experience for those who venture to enjoy themselves during the abominable remake of Annie. I struggle to admit I was actually excited for this film when it was first announced, given my love for Jamie Foxx, whom I was convinced could do very little wrong on screen. It is not his, nor little Q’s fault for why Annie struck out at every curve. Music should breathe life into a musical, not suffocate and torture its viewers/listeners. Even if most of the actors have decent voices, the songs are bogged down by over-editing, forced pacing, heavy beats, and an overindulgent hip-hop/remix vibe that utterly destroys the classic songs that defined the original film, earning its beloved seat in musical history. Had I been offered a reprieve from one disastrous number to the next, I may have appreciated a small percentage of the changes the writers and producers applied to the remake. By the end of the film, it seemed not like the modern-day Annie that could have introduced an entirely new generation to the story, but a confused film that felt so grossly out of its own league. And don’t get me started on Cameron Diaz’s over-the-top acting . . .
What did you think of these movies? Would you have rated them any higher/lower? I’ve finished posting about my resolutions for 2015. Before I wrap up last year by posting all of my best and worst lists, I wanted to post some Rapid Eye Reviews for three of 2014’s films that I ran out of time to review during the hustle and bustle of the holidays. 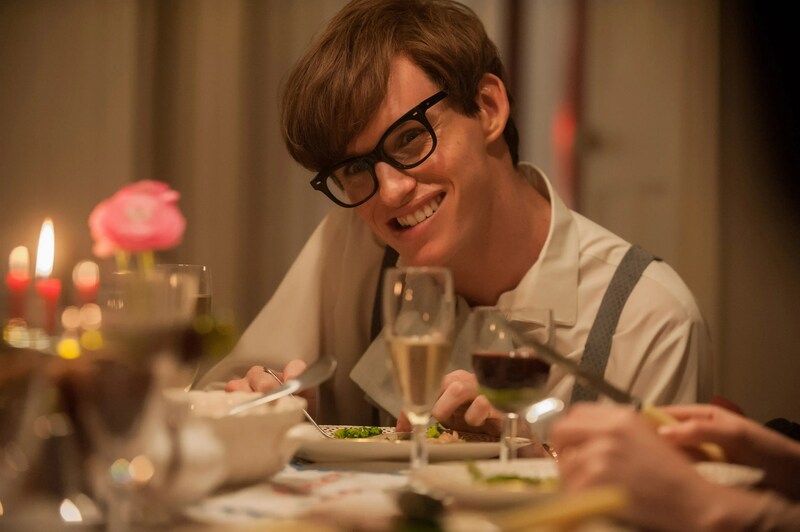 The Theory of Everything suffers from falling into the all-too-familiar territory of offering nothing more than an average film on the story of a famous person. What makes the film worth seeing are the performances. Eddie Redmayne is truly the star of the film, and I imagine it will thrust him forward in his career towards bigger and better gigs. Of course, I can’t leave out Felicity Jones, because as viewers, we often saw things from her perspective, whether they were for better or for worse, similar to the feelings that erupt from a confused and tired marriage between Stephen and Jane. You won’t find inspiration from the obstacles both Stephen and Jane overcome as much as you’ll contently sit and observe the lives of two adults struggling to cope with Stephen’s deteriorating health, which slowly drives a wedge between Jane and himself. Don’t be fooled by the title: The Theory of Everything is much more of a relational drama than a history of Stephen Hawking’s findings or belief system. I read multiple reviews on Wild before seeing it in theaters, and after seeing it, I think I felt less assured about my own feelings on it. It’s one of those movies that I felt like missed the mark, but not so far that I would call it bad. It fits within the vein of 127 Hours (2010), but it doesn’t hit quite all the right notes like the latter. Yes, it is the story of one Cheryl Strayed, who strayed so far from the straight and narrow that she changed her last name. I can’t discount the film for my dislike of Cheryl, who ultimately tried to redeem herself by hiking over a thousand miles on the Pacific Crest Trail instead of painfully facing her demons by confronting them rather than hiking to reflect over them. I have to give props to Reese Witherspoon, who admitted herself how difficult the filming was. She convincingly plays Cheryl, both in her older and her younger years. One of my biggest issues with Wild, however, is that it tends to jump all over the place, often forgetting where the focus of the film ought to be. 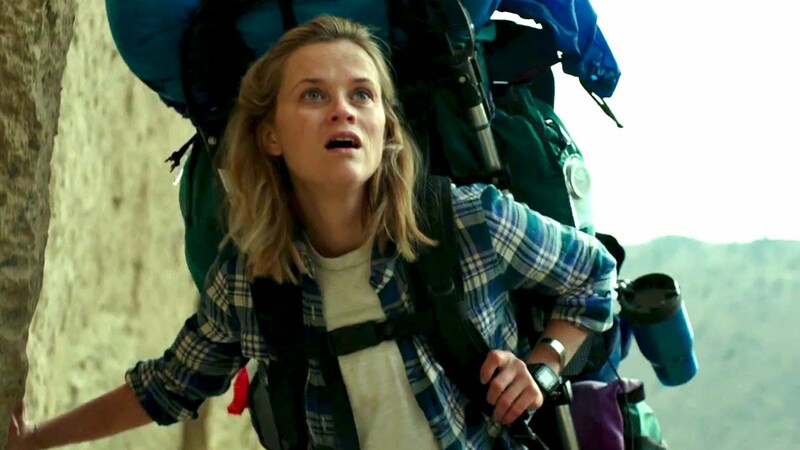 Wild seeks to be in the inspirational hit of the year, but it fails, even with Witherspoon’s transformative performance. I’m grateful to everyone who urged me to check out rookie director Dan Gilroy’s noir night thriller Nightcrawler, because I consider it one of the best films of 2014. Nightcrawler, with its simple plot and focus on a singular character whose shades of gray fade to black as he accurately earns the title of a “nightcrawler,” both in career and literal terms, is a thrilling ride from beginning to end. Nightcrawler is Jake Gyllenhaal’s head-turning film that urges serious film fans and critics to take his acting more seriously in recent years. His changed appearance and his dedication to the slimy character of Lou Bloom makes for one of the most memorable performances of the year. Nightcrawler engages viewers from the beginning and doesn’t let go, similar to Bloom’s grasp on receiving confirmation and attention from others. What makes Nightcrawler barely lose it’s FOUR EYES ON SCREEN rating for me was the less-than-believable actions by Nina Romina (Rene Russo) throughout the film. Here is my last New Year’s Resolution post for 2015. If I haven’t already bored you with my previous New Year’s posts, read on for some resolutions goals for All Eyes On Screen in the upcoming year. This is the biggie, and it’s where I have the most room for growth. I have all the respect in the world for fellow bloggers who seem to churn out post after post on the most current film news. It’s a constant reminder to me to be more consistent as I strive to make All Eyes On Screen a better and more interesting site for visitors and fellow bloggers. One of my big goals for movies is to start my first Blindspot Series. I’m still looking for several recommendations, so if you have any classics to suggest, please leave an idea in the comments on that post. Aside from a Blindspot Series, I’d also like to add some other series. I started All Eyes on the SMALL Screen last year, and I’d like to continue it. But I’d also like to try out new ideas as I find the time. I always appreciate new ideas, even if can’t follow through with all of them. Several of my blogging friends have hosted or started a blogathan in 2014. I’d like 2015 to be the year that I start my first one. I’m considering several ideas, and I’m hoping to unveil the official one I select during a slower time of the year when everyone isn’t talking about the Academy Awards or celebrating the holidays with family. This is the hardest resolution for me. It’s not that I don’t want to visit, read, or comment on sites, as much as it’s dividing my time between watching movies, writing posts, and interacting on fellow bloggers’s sites. That’s when it gets tricky. So this year, I’m striving to read and comment on more of your sites. I’m constantly learning new things, discovering new ideas, and developing my site, writing style, and opinions as I interact with the growing movie blogging community. You are my teachers, my friends, and my biggest supporters. So I hope to give back more this year than I’ve been able in past years. Wish me luck as I seek to read more, catch up on TV, watch more movies, and sharpen my blogging skills in 2015! I’m rooting for you guys too! What are your blogging resolutions for 2015?